Personal note: We are traveling this week and have not posted messages daily. Message summary: Today the benefits of the tree of life are freely available to all of us in Jesus Christ. Many ignore His call, reject Him, or scorn His name but the Word of God declares: “Yet to all who received Him, to those who believed in His name, He gave the right to become children of God” (John 1:12,13). Due to travel we did not prepare a podcast for this message. “The Lord God made all kinds of trees grow out of the ground—trees that were pleasing to the eye and good for food. In the middle of the garden were the tree of life and the tree of the knowledge of good and evil” (Genesis 2:9). “Blessed are those who wash their robes, that they may have the right to the tree of life and may go through the gates into the city” (Revelation 22:14). We are enjoying our trip south and the warm temperatures. For the last several days we’ve been visiting my sister and brother-in-law, Genelle and Cesar Sankarsingh. Wherever we travel we enjoy the variety of trees along the highway. A species we do not see in our northern climate are the wide spread live oaks, which are abundant in the south. I first recall hearing about the live oak while touring many years ago the USS Constitution in Boston Harbor. This ship first launched in 1797 and is still a commissioned US Navy vessel. 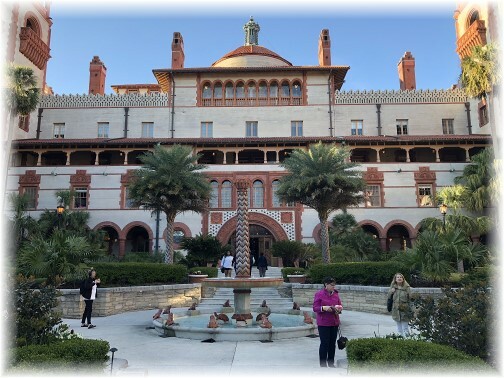 The tour guide explained that it was constructed with live oak, known for its durability and hardness. I have had oaks wherever I have lived and was puzzled by the designation “live” oak since the other oaks wherever I have lived were certainly also alive. The name live oak comes from the fact that evergreen oaks remain green and “live” throughout winter, when other oaks are dormant and leafless. 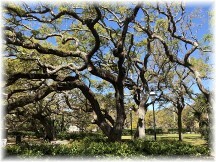 The oldest live oaks in the country are estimated to be between several hundred to over a thousand years old. After the creation account one of the first notable trees in the Bible is the Oak of the Moreh, first mentioned in Genesis 12:6 which had a long and significant lifespan. * But today let us consider the “tree of life”. I enjoy relating to foresters and learned a great deal from several who attended the church I pastored in northern Pennsylvania years ago. Foresters work with trees which have the distinction of being referenced in the Bible from the first chapter (Genesis 1:11) right through to the last chapter with many references between. When Adam was banned from the garden the specific reason for this banishment was so that he could not “reach out his hand and take also from the tree of life and eat, and live forever” (Genesis 3:22). At the end of the Bible we again see several references to this tree of life. Apparently it will be a major attraction in our eternal home (Revelation 2:7; 22:14). As such it surely must be the longest living tree! One Bible version titles this chapter “Eden Restored”. One is for eternal life and Jesus meets this need. 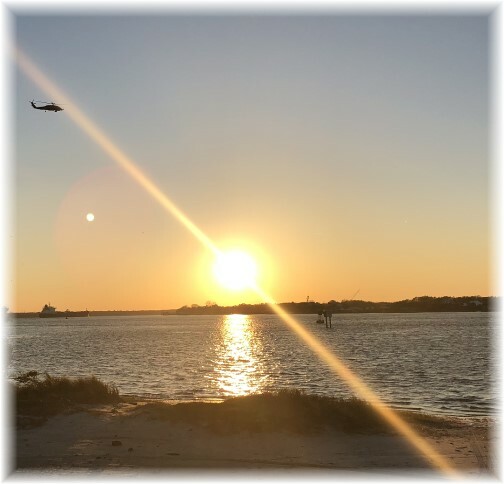 The Bible says, “For God so loved the world that He gave His one and only Son, that whoever believes in Him shall not perish but have eternal life” (John 3:16). Man’s second great quest is for abundant life (full and meaningful). Jesus meets this need as well. He said, “The thief comes only to steal and kill and destroy; I have come that they may have life, and have it to the full” (John 10:10). Today the benefits of the tree of life are freely available to all of us in Jesus Christ. Many ignore His call, reject Him, or scorn His name but the Word of God declares: “Yet to all who received Him, to those who believed in His name, He gave the right to become children of God” (John 1:12,13). Receive and share this merciful gift of life through Christ Jesus today! Daily prayer: Jesus, Your sacrificial death on the cross became the tree of life for all who believe. It is the highest expression of love not only for those who bore the nails in your hands and shouted “Crucify, crucify” but it’s for all the generations who follow that were born under the sin curse. How grateful we are that You came from the glories of heaven to crush the head of the serpent, as You conquered death through Your miraculous resurrection so that we might be redeemed from the law of sin. We will partake of the tree of life in heaven because You partook of the cross of death here on earth. All glory and praise is due Your name. Amen. 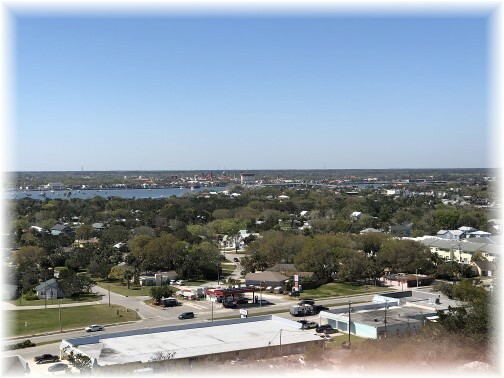 A view of Saint Augustine from the top of the Saint Augustine lighthouse. 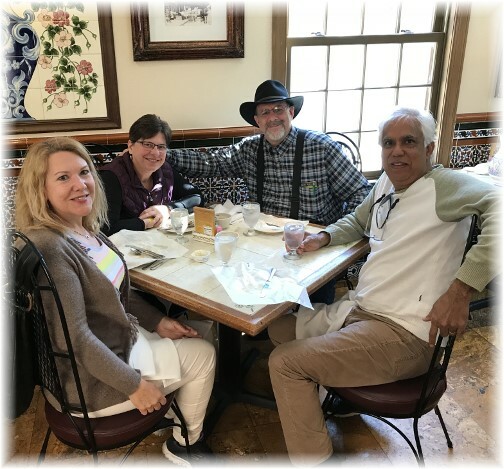 We enjoyed a nice lunch at Columbia Restaurant in St. Petersburg with Genelle and Cesar.